Sundays are meant to be fun days. Since, childhood Sundays were the day to visit my grandpa and of course no-study-day. That made the day more special. On Sunday mornings there was an array of cartoons telecasted on TV those days. Alice in Wonderland, Jungle Book was my favorites. Ma used to serve a heavy breakfast on Sundays and that mostly included luchi, tarakari (Bengali for vegetable curry) and sweets. Visiting grandpa has long stopped, grandpa passed years before. Nobody watches DD National these days, and I presume they don’t telecast cartoons any more these days. But, having a heavy breakfast that can almost be called a brunch is still a custom at home. Today I thought of having a little different from the usual Sunday brunches and so Dahi vada was in the menu today. Garnish with cumin powder, chopped coriander leaves, tamarind chutney, and bhujiya . Hot Tips – I have used a ready mix for making the vadas, but you can also prepare it at home. Soak urad dal overnight, and then grind to a fine paste. The other preparation remains the same. 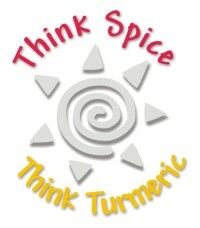 Please do remember to send in your recipes for the Think Spice: Think Turmeric event ending November 30th, 2009. I am sending the Dahi Vada recipe to Monthly Mingle: Brunch hosted by MeetaK of What’s For Lunch Honey. Your post made me nostalgic. i remeber watching all those cartoons on Sundays!! Dahi vada looks creamy and delcious. What an amazing food site this is! Thank YOU so much for dropping by my blog. I am completely awed by all your fantastic recipes and photos. Wow! .-= The Little Teochew´s last blog ..Light Pandan Sponge Cake =-. Thank you so much for visiting our site and for your lovely comment. Would love to hear more from you soon :). It is ages since i had this, i love them but hubb and daughter don’t like, they like the normal vada, next time when i am in a indian store i am gonna look out for gits packets to make them. .-= Happy Cook´s last blog ..Pannacotta with coconut and melon =-. I think you can order the Gits one online, because I came across one link selling the Gits Dahi Vada mix and the prices were in dollars, so I think you have some luck even if you don’t find it at the Indian store. I remember Sundays when i used to saty at my grandparent’s place. We used to watch Cosmos, Sherlock Holmes etc and have chicken curry with rice. .-= kalyan k´s last blog ..Let there be light … rui kaalia in focus =-. I don’t know why this has become a new style of serving desserts at buffets. I never could take dahi vada as a dessert even though its one of my most favorite food. Even here in Kolkata the weddings I have attended they had a stall serving dahi vadas. .-= kalyan k´s last blog ..It’s all in the head … maachher mudo diye daal =-. Yeah, that’s the worst part of it, having a sweet dahi vada. What is this doodhi halwa? love love this. always have. perfect for the mingle and glad you are joining us! .-= Meeta´s last blog ..Dimpled Mirabelle Plum Focaccia with Lemon Poppy Seed Butter =-. Its an honour to have you visit out blog. Thank you so much for your comment, and thanks a lot for accepting the recipe. This chat ranks the top of the chart in my fav. food list 🙂 Ur preparation looks very tempting. Adding raisins to the batter is new to me, thanks for the tasty tip. .-= Suparna´s last blog ..Masala Dosa, Mixed Vegetable Bhaji and a T n T =-. Thanks for dropping by and for your comment here.Do try putting some raisins the next time you make dahi vada . this sounds great! never tried making them before. A friend just brought me a turmeric grinder from kerala..have you ever ground fresh turmeric? Yes I have grounded fresh turmeric before in the grinder. The oriental one is a stone slab and a stone rolling pin, freshly ground turmeric is used in our marriages to smear the bridegroom and the bride on the day of the wedding just before they bathe. Dahi Badas are my all time favorite, and this is a great one! Dahi Vada looks excellent. Mouth-watering. Thanks Lakshmi. I’m a big fan of dahi vadas.